This is the gorgeous desk of same client as the last post. 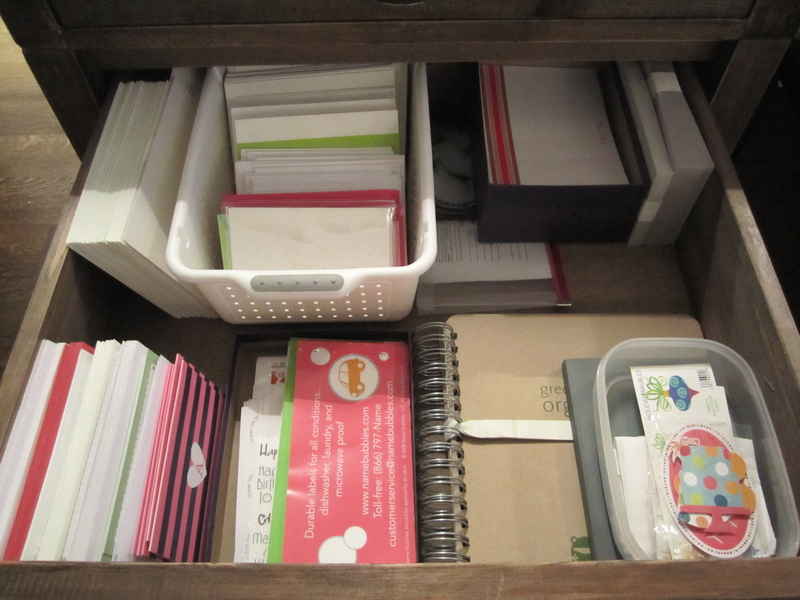 With the exception of the bottom side drawers which are file drawers, none of the drawers had a specific purpose, they were just filled with ‘things’. 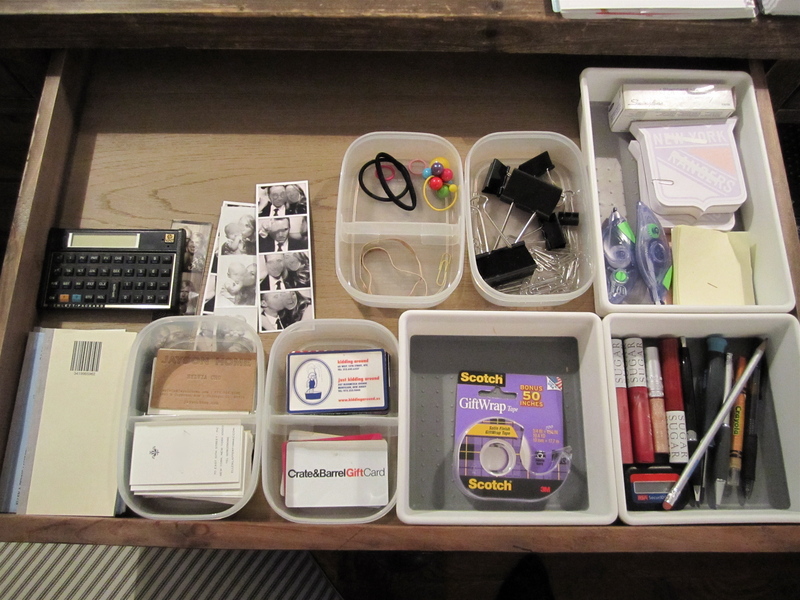 Now each drawer has a specific category: center for business cards, tape, stapler, pens, etc; 1 for notebooks; 1 for stationery; 1 for phones, ipads + cords (not pictured), 1 for cameras (not pictured). We’re continuing to add to the drawers as we organize the rest of the apt so we’ll see if we need anything else as we go, but so far we’ve simply reused containers she already had. Nicely done, Laura! 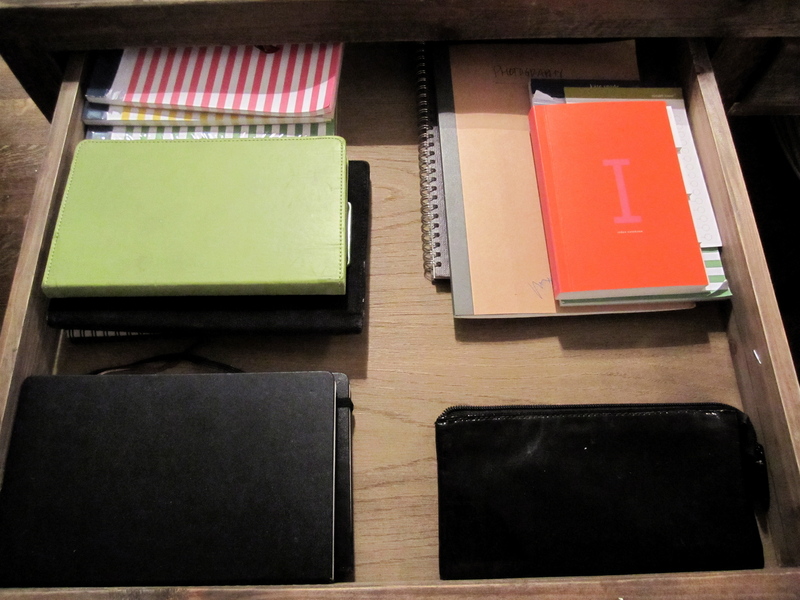 I also love the little containers used in the one drawer.